Wow time does fly even when you aren't having any fun! It has been 3 years this month that Pete has been gone. It still seems like yesterday! I still miss him everyday. I have started to go through some of his things, but not to many! I have more gray hairs and put on a few pounds. Last June I had to have a spinal fusion and was off work for about 3 months. My grand daughter Bailey is going to be 2 this month, Braxton started kindergarten and Cain is 14 and a freshman. I am going to be a grandma again- my youngest son Andy and Brittney are expecting a baby in April! I probably have a few stories to share with you all.By now maybe no one is blogging but I may try it once again. Hope you all are loving and living life! It's been a long time since I have done any blogging. I think I may start up again and fill you in on what is happening in my life. That probably won't take to long, cause not much is happening. I am going to do some catching up with all of you! Hope you are well! got out of this house! The photo is of my dog Rocky. It's his birthday! He is 3 years old! Rocky and I shared a little supper and I sang him Happy Birthday! He gave me a sloppy kiss! See how pretty he smiled in the picture! Isn't life grand!! We are really tired now and we are going to bed. Good Night ! Our daughter Sheila is having another baby. A baby girl and I am excited about that. Her dad would have been so happy! Braxton will now have a little sister! Braxton is 3. 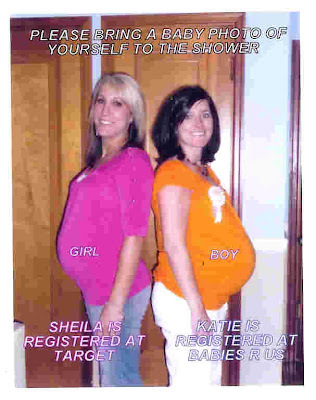 Shelia's baby is due September 21st, one day after my birthday. 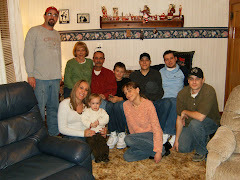 In the photo that I posted Sheila is the blonde in the the pink shirt. The other young women is her sister. They are having a baby shower next Sunday for the both of them. It will be fun to buy little girl things for a change! Hope all you fathers out there are having a Good Fathers Day! I have been so busy lately that I don't have time to write anything. I don't really have anything of interest to talk about. I think I have led people to believe that I am always negative and can't find positive things to talk about in my life. I really am a positive person and have lots of things to be thankful for. Still I have many issues going on in my life at this time. Perhaps I have used you all to express the frustrations that seem to happen frequently right now in my life. I suppose simply because I don't have anyone else to express these things too. I am trying to discover who I am without my husband. All of my life stories involve my husband. I don't know if I have anything of interest to anyone without the issues that come with losing someone that you love. It's probably a good thing that I have been to busy to write! Does Good Luck Follow You? Some people seem to just be born lucky, and then there's people like me! I think that bad luck follows me around, nothing ever comes easy , and everything I seem to try to accomplish lately just turns into one big disaster. My computer was down again, my Norton antivirus expired, and just in one day, the minute the computer was turned on, it was infected with viruses. The computer had to spend a couple of days at the computer hospital, getting rid of the viruses. You know that I picked out the monument, or headstone for my husbands grave. They are supposed to have it up by memorial weekend. I went to the cemetery to see if they had layed the slab for the monument last weekend. They layed the slab all right but in the wrong place! My hubby is buried next to his dad, then my spot, and a new neighbor will be next to me! They layed the slab on mine and my new neighbor's! It is no where near my husbands grave. I had to visit the monument place and tell them that they goofed up. I don't think they believed me at first, but I checked it 3 times last weekend to make sure I wasn't nuts! Ok, I am nut's, I will admit that! I did have the guy laughing when I said the slab seems to be for me and my neighbor. He didn't get what I meant by that, so I had to explain. The cemetery marked it now with red flags so they will have to move the slab and the mount the monument. They better have it done by memorial weekend or I am going to ask for some money back for their mistakes. My husbands estate has to go through probate and that is a whole other story. It depresses me to just think about it. I have been busy getting my flower beds ready and bought a ton of flowers today, so I can plant some each night this week. I hope you are all having some luck in your life's. My husband Pete was the kind of man that kept his calm through trials. . . he was a very patient person. His heart was seen in the way he cared more about others than himself. Take for instance when he prayed, I asked him , " Pete, do you pray for yourself?" His response was that so many others were praying for him so he thought he should be praying for others. Pete came to know God better during his illness. In fact, rather than getting bitter with God about his illness, Pete got closer to God, accepting Jesus' eternal gift. This quiet man also possessed amazing inner strength and courage. In one of life's irony's during his first battle with cancer he prayed to God, I don't want my kids to ever have cancer--give it to me instead of them, he had four different battles with cancer and we have four kids. Just to let you know that I have had Internet problems for a month, I would try to read blogs and the Internet would lose connection. Friday I was able to get a new Internet modem, and I am up and running again. I have missed you all. I am married to an amazing man, his name is Pete. We have 4 children and 2 grandsons. I work full time. I enjoy gardening, especially flowers, cooking, auctions and spending time with my husband.